With all the groundwork out of the way, it's time to get the climber out of the crevasse. There are a lot of methods to choose from, as you will see later in this chapter. Just use the one that looks the best for this particular case, depending on the condition of the climber, the number of rescuers, the equipment available, and any other variables. Fig. 13-6. 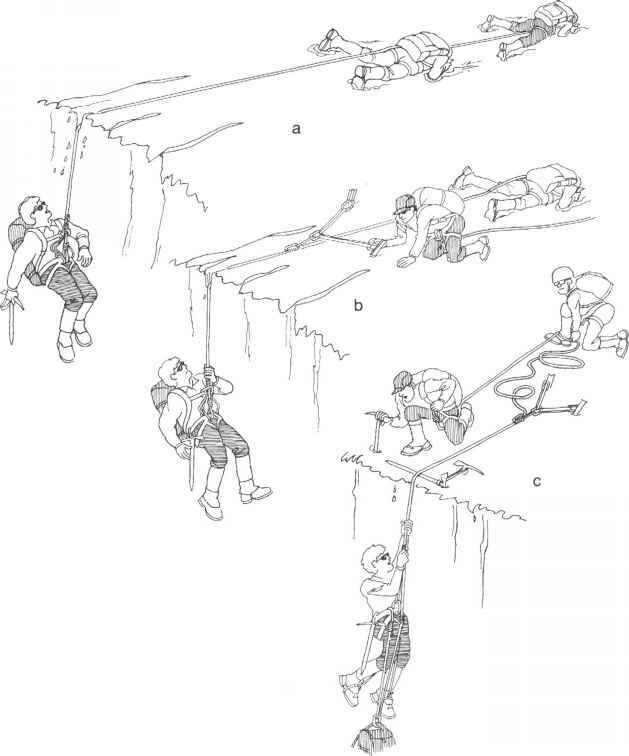 Rescue response: a, arresting the fall; b, setting up the anchor and attaching the rope to the anchor; c, checking on the fallen climber (anchor of the climber giving a boot-axe belay not shown for clarity). Look for the best method that combines simplicity, speed, and safety. First of all, a climber who falls into a crevasse doesn't necessarily have to come back up at the same spot. Sometimes there's another way out. 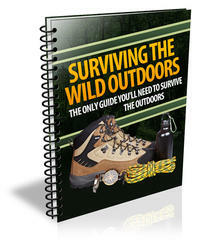 Check the possibility of lowering or swinging the fallen climber to a ledge. It might be a good spot to rest and perhaps a gateway to a different part of the crevasse where rescue will be easier. Consider whether the bottom of the crevasse looks solid. This could offer another resting spot and a possible path to a climbing route or a snow ramp to the surface. 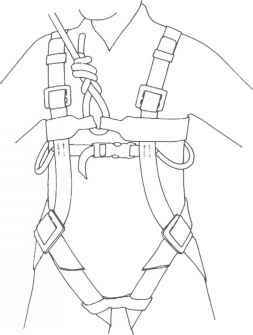 Throughout the rescue, everyone on top must be tied to the anchor or clipped into a prusik sling tied to an anchored rope or on belay at all times. If your party is large enough, assign one climber to brace and guard the anchor. Establish additional anchors if necessary. Always remember who you're trying to help. Avoid knocking snow or ice down on the person in the crevasse. Keep talking to the fallen climber. Give reassurance and information about what's going on and enlist ideas for making the rescue go more smoothly.